Burbank Fire has had a mobile plotter for quite some time. 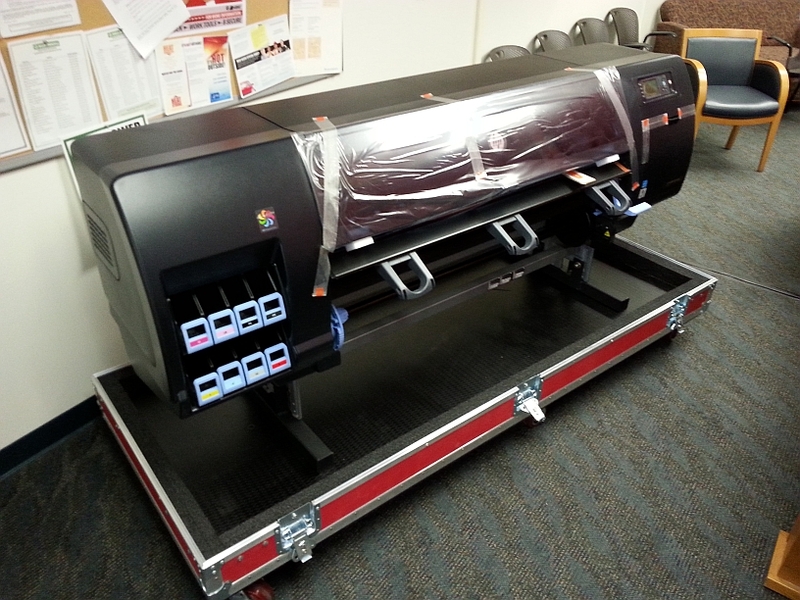 It was an HP Designjet 1055CM placed in a custom box to make it mobile. 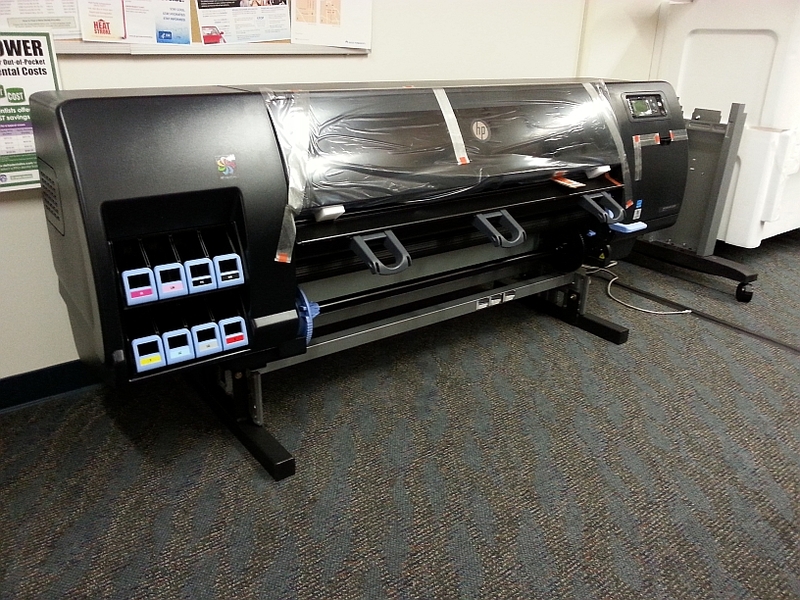 It was time for a new plotter and this time it is an HP Designjet Z6200 which is quite a bit bigger. 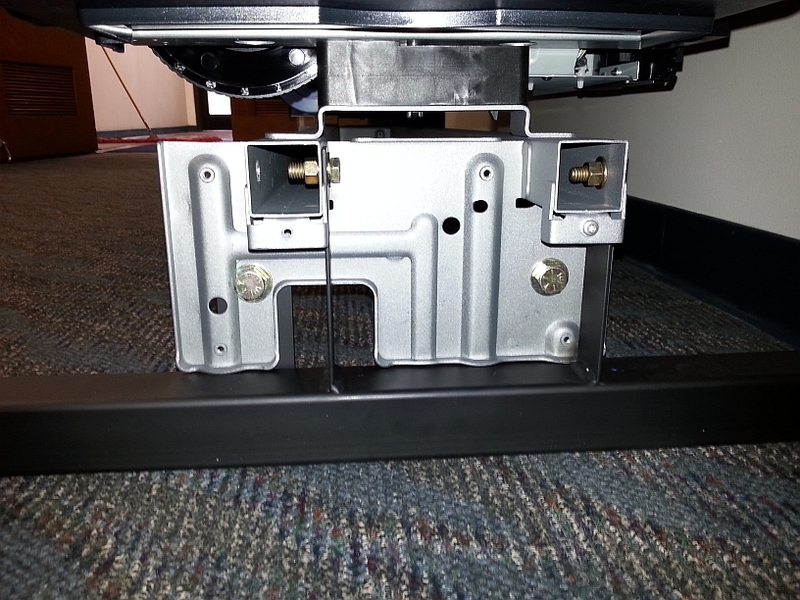 To make it fit in a reasonable size box, one of the guys in our IT Department made custom short legs for it. He is great with a welding torch! You can see the original legs to the right of the plotter in the photo below. 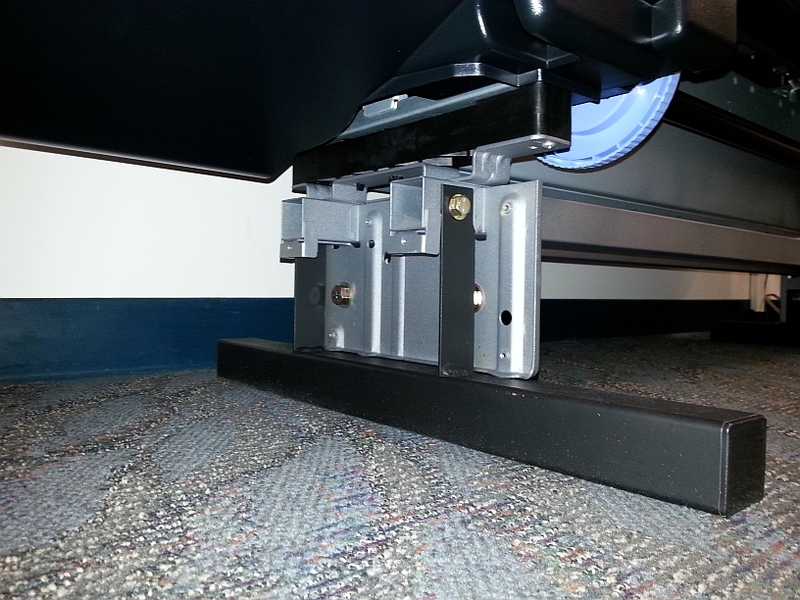 Foot braces (black) were created to bolt onto the plotter’s original hardware (silver). 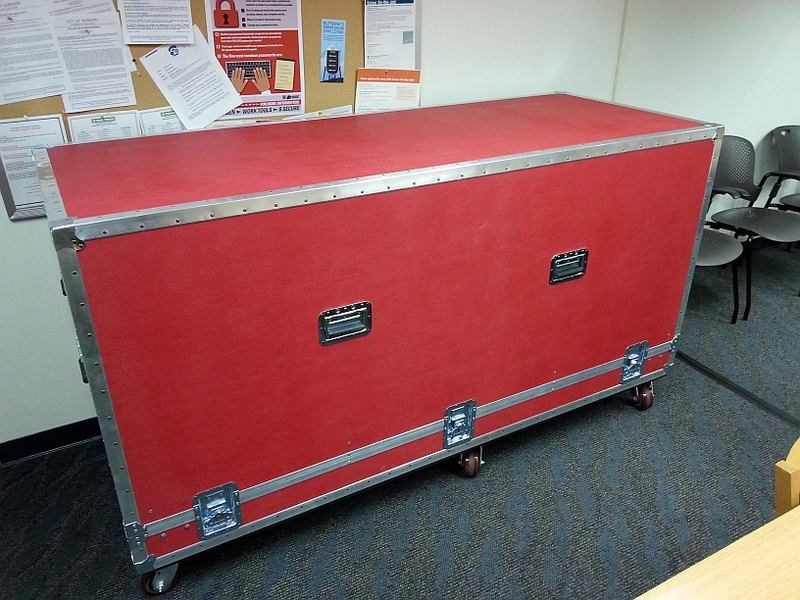 The custom box has a lid that comes off to expose the plotter for use. 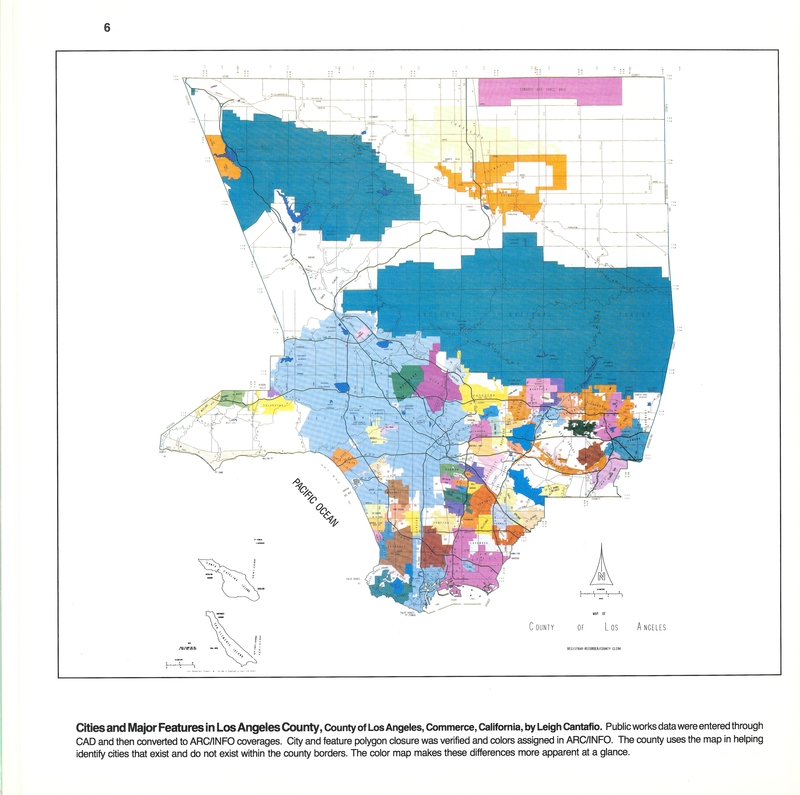 LA County Map from the Past! I have been going through all the ESRI Map Books that I have collected over the years from the ESRI user conferences. In the 1991 map book, actually titled “Arc/Info Maps 1991”, I came across a map made by Los Angeles County titled “Cities and Major Features in Los Angeles County”. Maybe used Arc/Info 5 or 6? Looks like they used an electrostatic plotter that printed the map in 4 passes for cyan, magenta, yellow, and black. Awesome! The City of Indio is looking for a GIS Coordinator. Salary range is $55,161.60 – $81,515.20 annually. For more info and to apply, visit their site here. You will perform map data analysis and automation. The work involves scripting and analysis (both ad hoc and structured) of navigational map data. You will support metrics leads by writing stable analysis processes and data pipeline integration. • Web development or big data experience would be a huge plus. To apply to this position click here: http://goo.gl/syIzIL Or send your resume to jessica@geosearch.com. Thank you! Discover Spatial is offering a free video tutorial on QGIS. The video tutorial provides an overview of the QGIS platform and dives into the features and functions so you can create maps and output using the open source software. Check it out!